The biggest competition on Univision has the littlest of contestants with the return of "Pequeños Gigantes USA." Giselle Blondet returns to the Spanish-language network as host after presenting "Gran Hermano" on Telemundo a year ago. The Puerto Rican present takes over Galilea Montijo as the contest moves to the U.S. from México. Kids ranging in ages from 6 to 11 will be the stars of the show who will compete dancing, singing, acting and showcasing all their talent. The ultimate goal is for them to shoot for the stars and reach their dreams. All of the children attended casting calls across the United States and Puerto Rico. They will all be divided into six groups and will be mentored by celebrity captains: Karol G, Paulina Goto, Daniela Luján, Jonatán Sánchez and Rogelio Martínez. There will be one more captain, who will be revealed during the premiere. "Pequeños Gigantes" will also have a group of all-star judges, that include Prince Royce, Luis Coronel and Bianca Marroquín. Sebastián Villalobos will be helping Blondet in the hosting duties focusing on what goes on in social media. 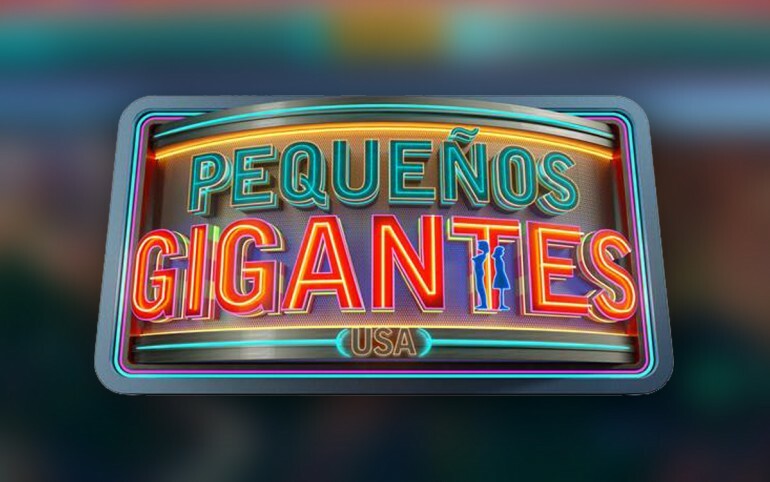 "Pequeños Gigantes USA" will premiere on Monday, February 6 at 8pm ET/PT on Univision. The Spanish-language network will live stream the show through the UnivisionNOW app. Although there's a subscription requiered for the service, users can try it out for 7-days.